For months on-end, you’ve had a space leased out at a self storage facility and now, you’re faced with paying yet another bill. The price isn’t unreasonable, but you just don’t want to continue to pay for something that you’re not actively using. Sure, that leased storage space helps to cut-down on the clutter around your place, but it’s still an obligation that doesn’t really make smart financial sense. Now you’re deciding it’s time and long overdue to rid yourself of this expense, or at least, cut it down the amount you’re spending. The first thing you need to do and probably dread more than anything, is to take a serious inventory of all that stuff you’ve got stored away. Your likely have an idea of what’s stuffed into your unit, but would probably be surprised by what you’ve long forgot. Open the unit and take note of every single item. Though this might not be an exciting task, it’s still necessary because the less you have to store, the smaller the space you’ll need. Once you have a detailed list, it’s time to prioritize what’s most important and work down to the things you no longer really need. Donate and sell. The less you have to store, the smaller the storage space you’ll need which means spending less. Donate and sell items that you don’t need and you’ll get a bit of money out of it, be it through tax deductions or cold cash. Reclaim existing space. You probably have the room to store at least some of that stuff where you live but have piled-up enough junk to make leasing storage space necessary. Follow the same suggestion and donate and/or sell what’s taking up so much space so you can use that space. Share space. You might know someone that’s in the same situation. 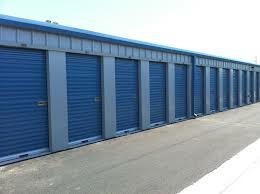 Ask him or her about sharing a storage unit to cut down on cost. Here again, you can sell and/or donate items to make this feasible. If you just don’t want to deal with the hassle of trying to offload your things piecemeal, you can simply call a junk hauling service to pick up and take all or most of it away. You’ll save in the long run on self storage fee costs and won’t have to deal with moving all that stuff or trying to donate or sell it. Or, you can just phone 800-433-1094 or visit Junk Garbage Removal.